direction of 3-way joint and hoses. clamp end forward. Cut off the excess tip of the clamp. hoses with the white marking inside. hoses at marking point. Match the length of hoses. 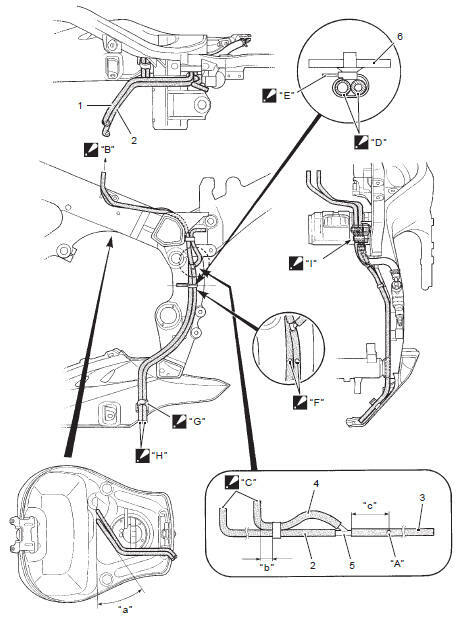 hoses in front of the rear brake reservoir.